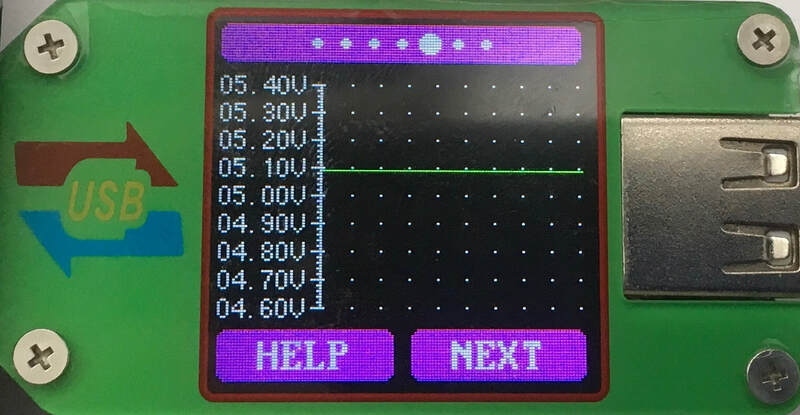 If you click on the bottom left button which is marked as "HELP" on the display's menu page, it will show a page with 4 boxes, this page will look like the picture below, and this shows what each of the four buttons located either above or below the boxes do with that specific menu page. What each box says and the functions it performs may vary from menu pages, but this "HELP" button page will appear on every menu page though. The paragraph below will describe more on what the "HELP" page's buttons will do. However, the "NEXT" button, toggled by the bottom right button of the display will switch to the second menu page, which will be explained down below in the next section. There are also two buttons which apply to every menu page, with the same functions: the top left and right buttons. As usual, a click on the "NEXT" button will take you to the following menu page and a click on the "HELP" button will take you to the "HELP" page. However, long pressing the bottom buttons on this menu page do not do anything as it does not have a feature in this menu page. But, same as the last menu page, holding the top right and top left buttons do rotate the display either right or left when out of the "HELP" page. The image below shows you what the "HELP" page looks like as almost everything is the same as the first menu page. To clear all of the existing data and cable resistance, you can just on and off your input power supply to the meter. You should now see that the resistance (white text) is set back to 0Ω and the second data set (yellow text) is also set back to 0. For this menu page, the bottom buttons do not do anything or change anything so there isn't really a use to them when you are on this page. However, the top buttons are only responsible to for changing the display angle, whether it is vertical or horizontal, right or left when long pressed as said before. Even if you click on the "HELP" button, the "HELP" page will not show you anything regarding the bottom buttons at all. After going through​ every single aspect, feature and detail of this product, I would highly recommend it to anyone who is into the electronics field. 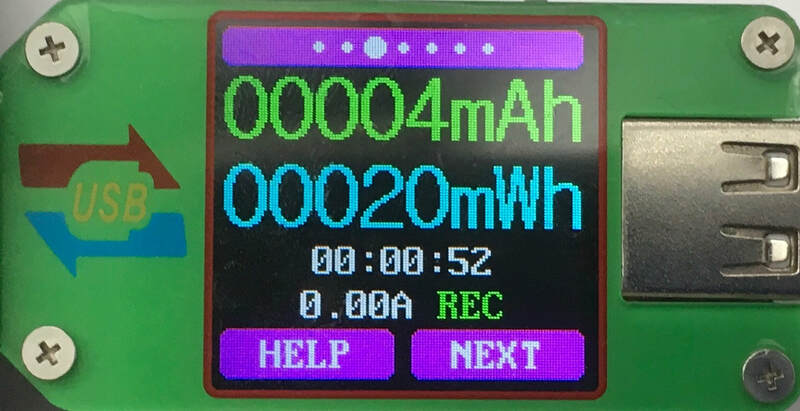 Compared to other USB testers and USB "doctors", it has an advantage over others because of its display screen, menu pages and the buttons on this module. The analysis, measuring and memory functions on this UM24 USB Meter play a big part into why I really enjoy working with this tool, whether it is in the lab or out testing electronics in the field. The biggest aspect which definitely caught my eye was the RGB (Red Green Blue) colour display, with a size of 1.44". This screen displays every bit of information well and it is considerably sharp. All in all, this meter is a definite electronic go-to for me and is recommended to everybody! Make sure you check out the review for this meter by clicking here. ​​ENJOY! CONTACT US FOR ANY INQUIRIES!